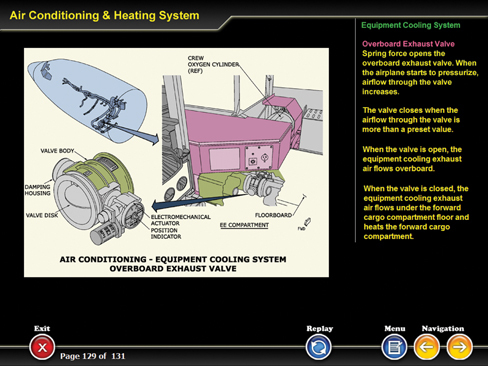 The ATA21 CBT module contains detailed explanation about commercial aircraft's air-conditioning and pressurization system. The CBT has 169 pages of multimedia courseware that include text, audio, and graphics. The topics covered in this CBT are listed below. Primary Heat Exch. & Plenum/Diffuser Assy. Secondary Heat Exch. & Plenum/Diffuser Assy.